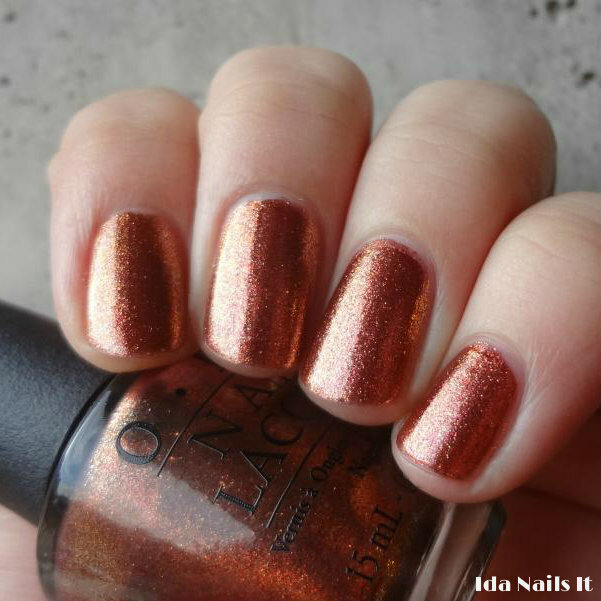 Sprung and A Butterfly Moment are polishes from OPI's Mariah Carey collection. 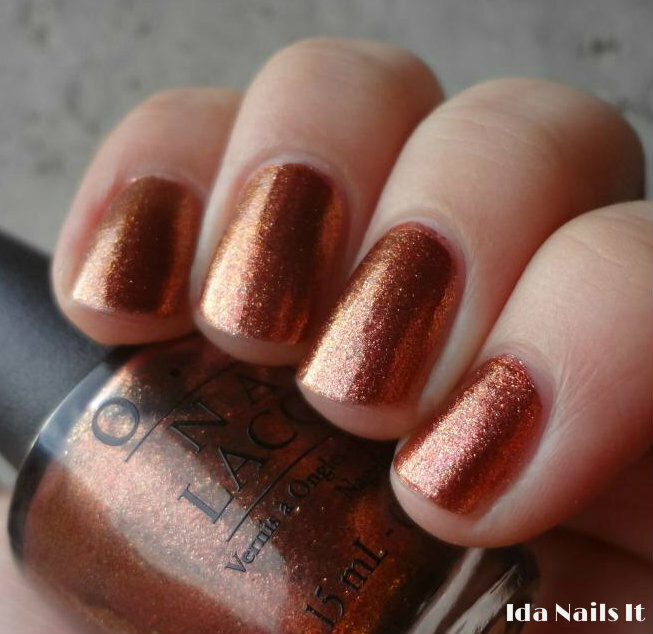 Sprung is copper metallic polish with pink and gold micro-shimmer throughout. Very easy application with two coats applied for full coverage. This looks similar to Jessica Polish Pumpkin Delight but I would have to compare them side by side to see just how close they are to each other. 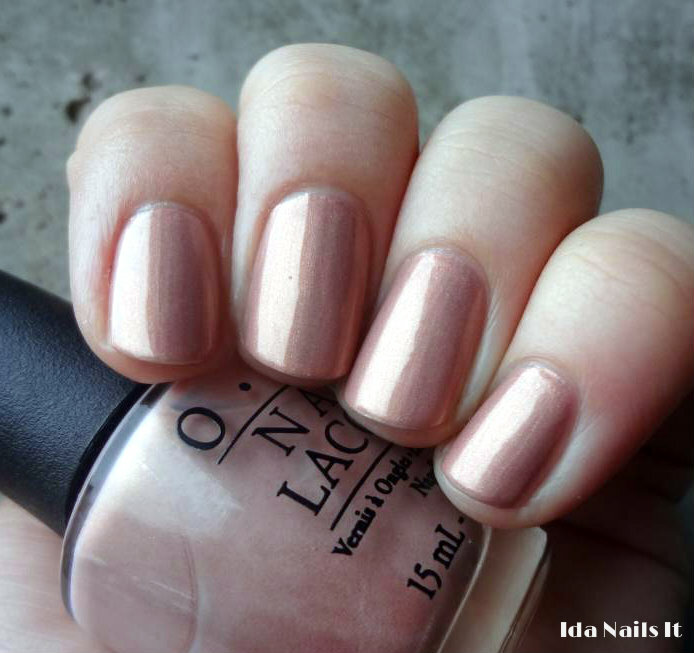 A Butterfly Moment is a warm peach pink with a strong gold shimmer. Another polish that was easy to apply with two coats. The shimmer is definitely visible, even in low light. Not a color that I am usually drawn to though, this warm peachy pink doesn't really compliment my skin tone, so into the purge pile it goes. 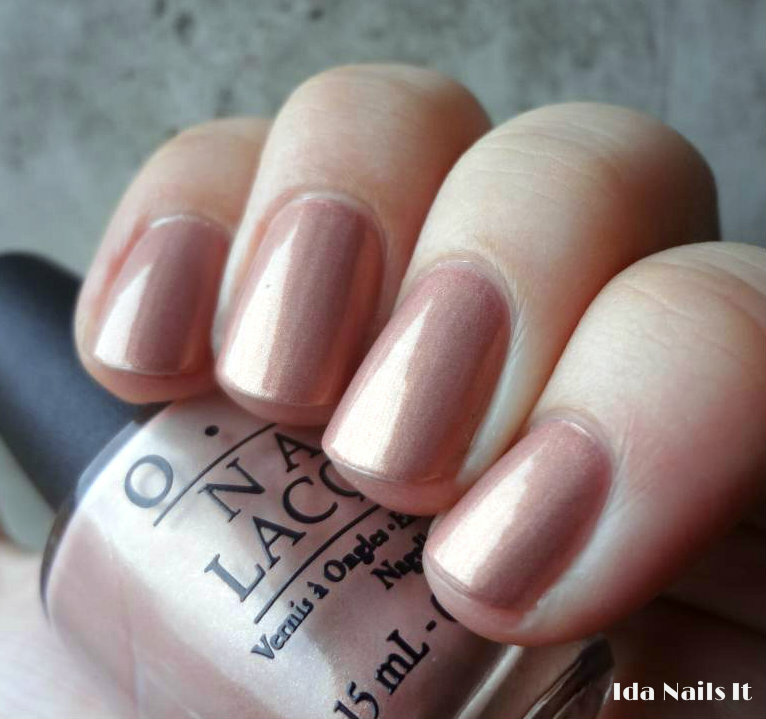 Sprung and A Butterfly Moment can be found online at various etailers, and in stores at Ulta, JCP Salons, and wherever else OPI is sold.